In addition to office furniture, we also build and install custom office sliding doors. 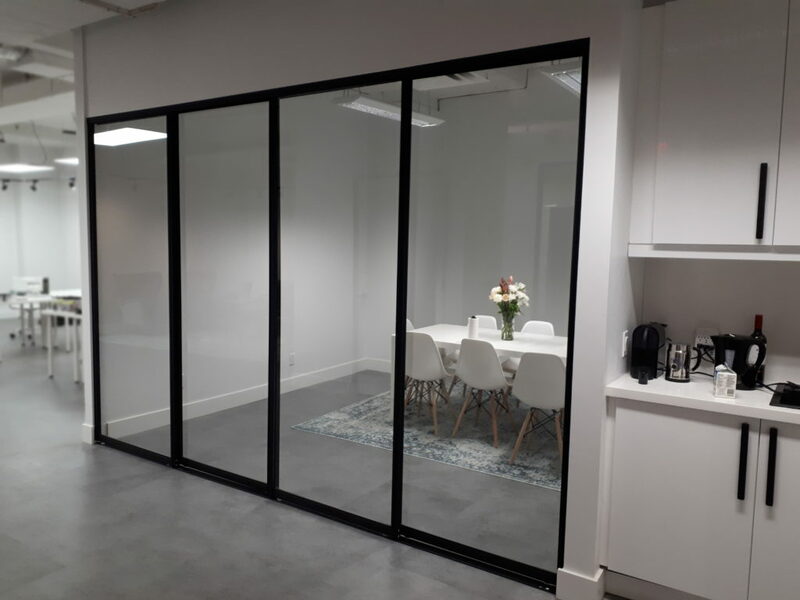 Our sliding door program offers a wide range of insert options, and every custom office sliding door solution is made to fit and installed by our experienced technicians. Most often we will use white lami glass to create a space with privacy, but a popular alternative is clear glass. Made the same way as white lami glass, clear lami uses a clear film to bond the glass sheets for safety. Clear lami glass is available for our sliding doors, and is a popular option for office spaces. 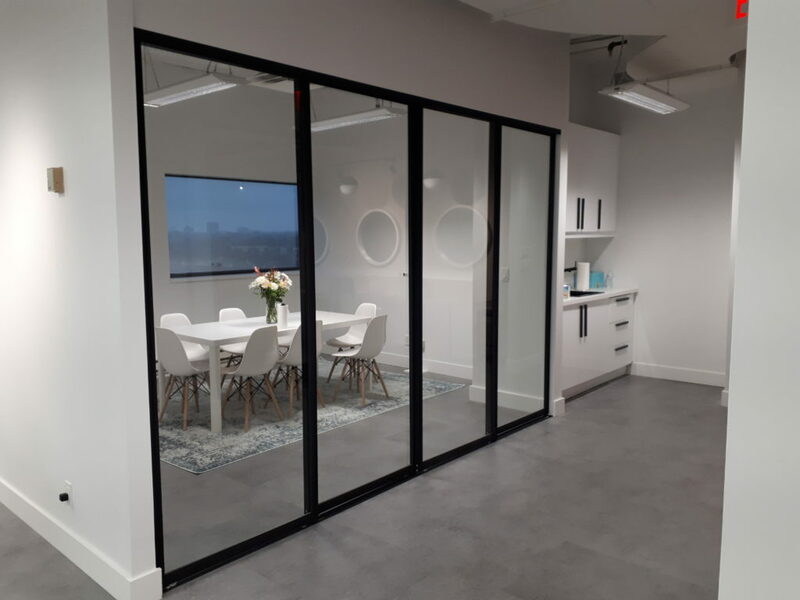 In this office, our client had us segment a meeting space with custom office sliding doors. We used clear lami glass. The majority of our sliding door solutions use standard finishes – aluminum for both profiles, or white for the Niagara profile – but in this case our custom paint shop refinished the hardware with a beautiful black finish, for a great look. Custom-painting the hardware does add cost of course, and may not be desired on every project, but it is an option, and as you see here it offers great results. While most installations use standard aluminum finishes, custom painting is an option for the right project. To get started on your custom office project, call us during business hours at 416.322.5575, or after hours, use this handy form to request an in-home consultation!